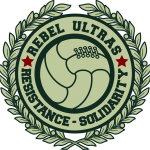 Home / Rebel Ultras Groups- Latest News / Europe / Gate 9 / The Cypriot “Tessera” – SHALL NOT PASS! It is after a long lapse of time that we have the opportunity to communicate with all of you brothers and sisters and inform you of the latest happenings surrounding the crucial topic of the Cypriot “Tessera”, or as its widely known the Supporters Card. Before we can go into the subject and give you a relative account of what has happened throughout the recent months we need to highlight and explain some of the key figures within this whole mess; their background and their role in Cyprus football, so events can more easily be understood in the process. Kostakis Koutsokoumnis; the “divine ruler” of Cypriot football, this man has been the president of the Cyprus Football Association for more than 15 years!!! Acting like a supreme leader he cares nothing about the well-being of the sport, only his pocket! He and his colleagues for many years have been involved in countless scandals and every day show us that they put profit well above the well being of the sport. This man is the owner of a large insurance company in Cyprus. The insurance company also just happens to be one of the major shareholders in Apoel FC Ltd. (the fascist scum; and our most hated rivals). As such you can easily understand that throughout his “reign” as Cyprus Football president he has always despised OMONOIA and its supporters and has tried to fight and destroy our club with every opportunity. The Cyprus Football Association (CFA); a Private Association, it does not fall under any government or parliamentary control. It is made up from its member football clubs and the CFA’s central committee is comprised of club member representatives that get voted in by the member football clubs. Bearing in mind that the majority of the member clubs are of nationalist orientation it is easy to understand that the central committee is primarily comprised of right-wing representatives who again hate OMONOIA and its existence. This hatred inevitably trickles down into other areas of the CFA like the disciplinary committee and the referees. Both disciplinary committee members and referees are by huge majority comprised of people that have right wing sentiments and many even have close associations with our hated rivals. Many of these people have been seen wearing apoel shirts, sitting in their team terraces during games, and many also have children who belong and play in various apoel junior athletic academies. The Cyprus Sports Organisation, CSA, is the Organisation which houses ALL sports federations; EXCEPT Football! It is a semi-governmental organisation which falls under the Ministry of Education and Culture; as such it is accountable to the government and controls that may be periodically made by the parliament or government services such as the Office of the Chief Auditor. Ionas Nicolaou. The current Minister of Justice, He controls the legal system and the Police. He is member of the Nationalist Party “DISI”, whose president is currently heading the Republic or Cyprus following February 2013 general elections. Ionas is a well known supporter of the scum of Nicosia and had for years served as a lawyer for the Ultras of the scum!!! Yes…this “man” is our current minister of Justice! He has OMONOIA hatred rooted deep in his blood. Need we say more about this fascist ???? Mass Media. By rule, the majority of Radio & TV stations and daily circulation newspapers on the island are right-wing controlled or right-wing oriented. To give you an idea of what we mean; the biggest daily circulation newspaper “Fileleftheros” is controlled by the family of the president of the “DIKO” party. A centre-right wing party that has close ties to football clubs of the scum and of anorthosis famagusta. The biggest media house “DIAS” who runs a major TV Station, a major Radio station and major daily, weekly and monthly publications has very close ties to the scum. Also, LTV, a private TV station which for 15 years held the rights of broadcast to the majority of football clubs (incl. OMONOIA until 2013) is THE BIGGEST shareholder in apoel fc Limited! During the years when the former (left-wing) government was in power, Ionas had been acting as member of parliament. He headed the parliament committee for “Combating Football Related Violence”. A well known lover of Thatcherism and Maggie’s approach to Football Violence he had for years tried to pass laws and measures to be voted in the parliament that would often not proceed because he would lose to majority votes to the parliament members of the left-wing coalition government. He had for the last 4 years tried to enforce the notion of a “Supporters Card” to the public; and was helped on many occasions by the Media in order to sway public opinion to his favour. The positive event is that whenever the issue of a supporters card would be in the news headlines; the majority of Cypriot Ultras would openly exhibit their dislike, either through announcements, or through banners and chants in the stadiums. Ever since the right-wing coalition government came to power in February 2013, Ionas was given the role of Minister of Justice; and that would sway the odds in his favour. Now, with a majority coalition government within the parliament, he had all the tools necessary to bring his sick plan into action. What this Law basically dictates is that ANYONE who wants to attend a sports related activity, i.e. watch a Football, Basketball, Volleyball, Futsal Etc. game needs to issue a “Supporters Card”. That supporter needs to exhibit their Card upon entrance into the stadiums along with their tickets for the game. The card is electronically scanned in the stadium entrance and the seat number and identity of that person is immediately saved to the system. In order to be issued this card you need to go and provide personal details. Such as, name, address, telephone, date of birth and BIOMETRIC readings (i.e. a picture of yourself is taken and electronically registered to the central database along with personal characteristics such as eye colour, hair colour, height etc.). Plus you have to pay 15 Euros. As such if for example you have a friend visiting from abroad and wants to attend a Football game with you; they WILL NOT be able to do so unless they possess a Supporters Card! and many many more stupid rules! If any of the rules are not followed, the stadium stewards have the right (via the new Law) to issue you with a verbal “warning”. If the same behaviour is carried out for a second time then the steward along with the police has the right to arrest you. Another thing that changes with this new Law is that the Police and legal system now have “super-powers”. They may arrest you and WITHIN 48 HOURS take you in front of a Judge and issue a sentence. The judge decision can be anything from a heavy fine or from 1-12 month stadium BAN! If you are arrested consistently for behaviour going against this “Law” then the stadium ban can actually increase up to TEN YEARS! When someone has a stadium ban he is SOMETIMES required by Law to present himself at a police station during the times when their team is scheduled to play a game. An example of this new Law being implemented happened only two weeks ago. During an OMONOIA home game and while our team was losing 0-1 at half time an OMONOIA supporter entered onto the pitch. Note that the supporter entered onto the pitch DURING THE HALF TIME BREAK and he basically tried to cheer and motivate the players, i.e. he WAS NOT aggressive! The Police quickly arrested him and 48 hours later he was realeased with a 3,000 EURO!!!! guarantee and needs to present himself in front of a judge in December!!! The Law was voted in by parliament majority vote in late July 2013 and will come into full force in January 1st 2015. Before the vote it was clear that the Fascist Minister, Ionas along with the Supreme Football Ruler Kostakis, wanted to vote this Law as quickly as possible! But why the sudden rush? You see Kostakis and his CFA have recently set up a Football Federation TV channel, known as CFA TV. The purpose of Kostakis (well thats what he says anyway!) is to gather ALL the football clubs under one common TV platform. As such, he claims, all the clubs will benefit as there will be a “fair” allocation of TV rights money between small and large clubs. But who will be handling the allocation of resources? Who will be distributing the profits? Why of course, Kostakis and his friends! You see, up until 2013, the clubs (like anywhere else in the world), could chose which Media platform would handle their TV rights. For many years (as we said above) the majority of teams belonged under the LTV platform. But recently many teams have opted out of this and have signed deals with other platforms. For example, OMONOIA and apollon now belong to the Primetel TV platform. While anorthosis and the scum have signed a multi-million Euro agreement (in July 2013) with CYTA (the GOVERNMENT CONTROLLED Telecommunications Authority)……this latter agreement is a HUGE scandal, but to explain it we will need a separate article! Kostakis it seems, seeing the millions in TV rights money, being spent left and right to various teams…wants a piece of the action! So he came up with this idea of the CFA TV, which as he claims will distribute the rights money more “fairly”. Some teams have signed a contract with CFA TV, but its mostly smaller clubs. So you may ask yourselves…. what does the Supporters Card have to do with CFA TV? Well the answer is quite simple. By holding the CENTRAL DATABASE of the system which issues the supporters card, the CFA (and its TV) will actually hold the PERSONAL DETAILS of ALL the people in the country who enjoy watching football. Therefore they hold a database with hundreds of thousands of POTENTIAL CUSTOMERS (names, addresses, telephones, team preference etc.) who they can target DIRECTLY and attract them to become subscribers to their new TV channel! This, in business is called, a competitive advantage! According to the new Law, the database has to be held (and the cards issued by) the Cyprus Sports Association. Because the CSA is semi-government, the government control agencies (theoretically) can exercise control over the privacy of the data being held. BUT in early September 2013, the CSA, in a central committee majority vote (one vote more!) gave the power to issue these cards (and hold the database) to the CFA. The decisive extra vote was cast by the President of the CSA who everyone in Cyprus knows that she has close family relations with the Minister of Justice! She excused the CSA decision by claiming that the whole system would be too costly to set up and operate and that the CSA did not have the money to do this, but the CFA, being an independent Football Association (and being the richest of the associations) could undertake this task! SO WHAT ARE THE ULTRAS DOING? In early July 2013 and after close co-ordination 6 Ultras groups marched together outside the Cyprus Parliament in Protest of the voting of the Law. (first video below). The Ultras which participated in the demonstration where: GATE 9 (OMONOIA), Ultras Famagusta (Anorthosis), Gate 1 (Apollon), Gate 3 (AEL), Guardians (AEK), Red Club (Salamina). After agreement each group participated by bringing 20 of its members to the demonstration. As expected, this HISTORIC and UNIQUE event was NOT documented or published by the local Media, but through the power of social media, the message and images of this event quickly became Viral. On Tuesday 22nd July, at exactly 19:00, ALL major Cypriot Ultras groups (including the scum ultras) staged a co-ordinated rally in a nationwide scale! At exactly this time, all groups set out from their respective fanclubs in their respective cities to go to specific roads and close off main junctions. This was planned to create havoc and finally get the attention of people and the media against this common enemy. Gate 9 of course was by far the biggest demonstration of the day as we marched from our central fanclub in Nicosia, and closed off major town centre junctions. We marched for about 2 hours through the city and we even stopped in front of a central police station in active protest against this new Terror Law. (Second video below). this of course was successful in that it gained the attention of media who documented the nationwide events and people finally started to know that supporters were very unhappy with the new Law. All supporters are currently NOT ATTENDING ANY LEAGUE FOOTBALL GAMES. 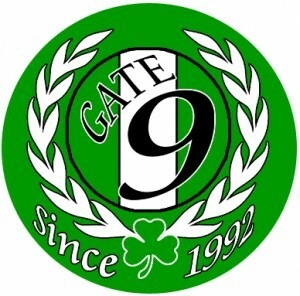 Gate 9 took the decision to attend or not to its broad members base and in an open vote decided to keep attending games until December 31st 2014 (remember the law will come into full force in Jan 1st). The reasoning behind this decision was that Gate 9 could play a more active role AGAINST this fascist Law through its presence during games, as such turning every sporting event into one massive Anti-Law demonstration. HOWEVER, as of the last three weeks, Gate 9 as well is NOT attending football games. The decision to do so came after our club president stopped supplying us with tickets and also after some untimely anti-Gate 9 comments he made on national media. To open a discussion about our historical issues with this idiot president would be too lengthy at this point in time, so we will not. However just keep in mind that after these events, GATE 9 as well is NOT attending games, both in protest of our stupid club president and also in protest of the new Terror-Law. This abstention of the Ultras to attend games nationwide has of course resulted in very low attendance at the games. Indicative of this is that the Limassol local derby (ael v apollon) which last season had a Sold-out crowd of 9,500 people, last week only had 3,000 tickets sold. Last Wednesday an OMONOIA away game which would have normally seen 6,000+ supporters had ticket sales of less than 1,000 !!! Most of the Cypriot clubs are in very hard financial difficulties. As such the low attendance rates have brought about voices of serious complaints! It is well known that Cypriot clubs (mainly the right wing clubs) have very strong connections to political parties and also to Media channels. The Left wing party in Cyprus had historically been against this Law (their majority also voted against it in Parliament, but didnt succeed). However last few days prominent centre and right wing politicians have also joined in the debate arguing that the Law goes against basic human liberties, the Right of Privacy, and saying that it even goes against some basic Rights highlighted by the Constitution of the Republic of Cyprus!!! As such this has gained widespread media attention and lots of pressure has been put on the Fascist Minister and “King” Kostakis in the last few days. ONE RESULT, was that on Wednesday 24th September the CFA in an announcement claimed to be “offended” by all the political pressure being put on them and has decided NOT TO TAKE THE RESPONSIBILITY of maintaining the central database and of issuing the Supporters Card; and as such is passing the responsibility back the the CSA !!! We dont know if this is a communication bluff or not …and frankly we DO NOT CARE. As long as this Law is in place we will FIGHT IT WITH ALL OUR STRENGTH. The Fascist Minister, Ionas, however remains defiant! Yesterday he attacked all the politicians who go against his new Terror-Law and stated that the Law has been voted, therefore it is the responsibility of the CSA to bring it into play by January 1st, and that this was the only way to fight sports related violent behaviour! 1) In recent years the majority of football related violence has happened out in the streets and NOT in the stadiums! So how can a Law which governs behaviour INSIDE a stadium really control the majority of football violence which happens OUTSIDE??? 2) Mr. Fascist Minister, does this have anything to do with a relative of yours who’s company is said to be behind the installation of the electronic control systems in all the major stadiums nationwide? Systems that will cost Millions of Euros of honest taxpayers money? 3) Mr. Fascist Minister, does this have to do also with the Millions being played out in TV rights and the fact that whoever holds the central database will possess a competitive advantage over their media rivals? 4) Mr. Fascist Minister, does this have to do with the fact that ALL our PERSONAL details will be held, and in the control of Authorities under the Jurisdiction of your Ministry? As such at any time you may know, who we are, where we live, and even WHAT TEAM WE SUPPORT….thus being able to (partly) control our fate if for example one of our comrades applies for a position in the Government service…he will be denied the job because he is OMONOIA? HMMMMM LET US SEE NOW……NO NO! IT MUST ALL HAVE TO DO WITH YOUR “LOVE” FOR FOOTBALL AND YOU WANTING TO MAKE THE GAME BETTER, SAFER AND MORE FAIR FOR EVERYONE RIGHT??? WE THINK ITS CORRUPTION, MONEY AND MODERN FOOTBALL AT ITS FINEST FASCIST STAGE! GATE 9 VOWS TO CONTINUE FIGHTING AGAINST THIS TERROR LAW AS LONG AS EVEN ITS SHADOW EXISTS ABOVE OUR SHOULDERS! We are (despite our many differences) united with the rest of the Cypriot Ultras groups in this fight! FOOTBALL IS FOR EVERYONE AND NOT FOR THE “SELECTED” FEW! YOU CAN STICK YOUR MODERN FOOTBALL AND YOUR TERROR-LAWS WHERE THE SUN DONT SHINE! Previous: The Local Derby Report! Next: Let’s Start the Game!